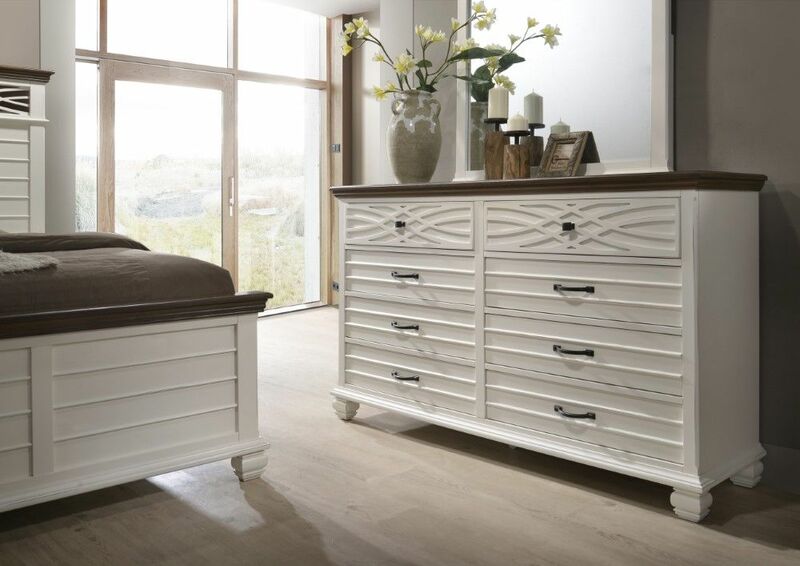 The new Bellebrooke Bedroom Collection is Relaxed and Rustic Casual, in a warm White Valspar finish, with distressed rubbed edges. 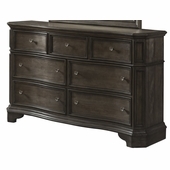 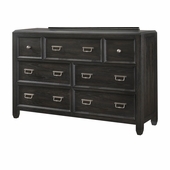 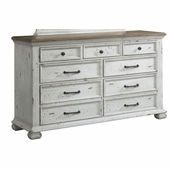 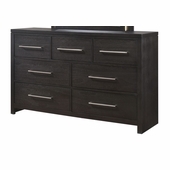 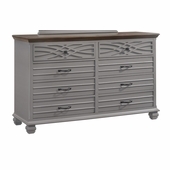 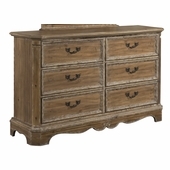 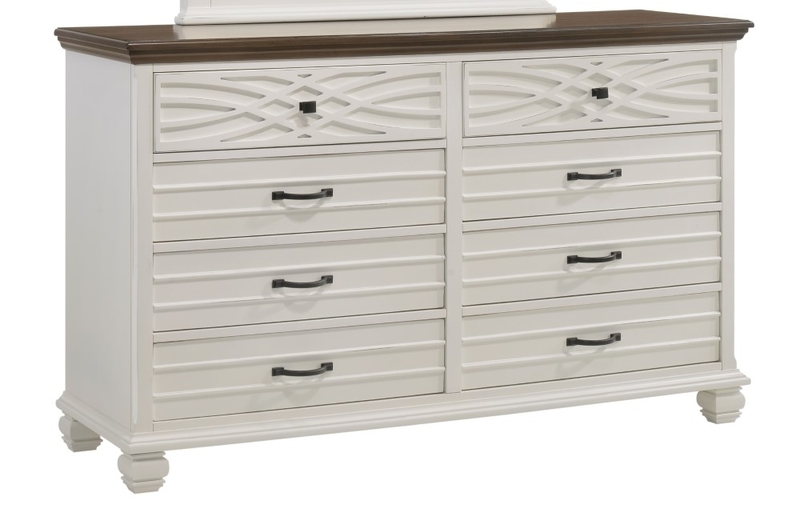 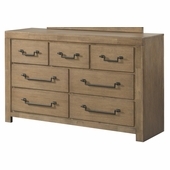 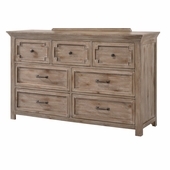 This handsome dresser features a taller profile, Cut-out design details, and thick framing detail. 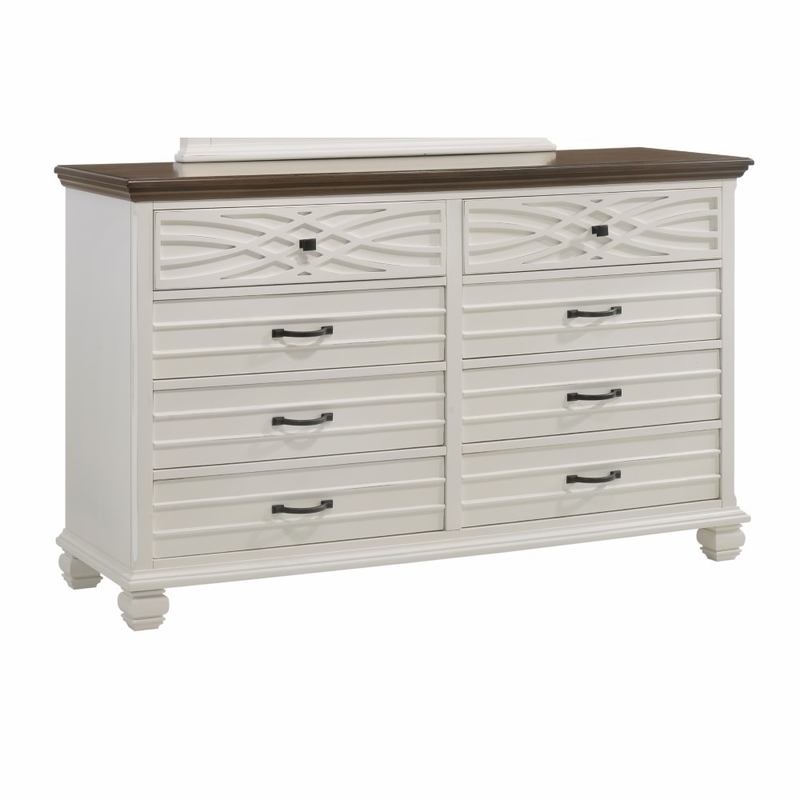 All case pieces include easy opening drawers with snag free interiors that provide great utility & storage. 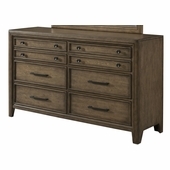 Over scaled rustic black hardware, and cases with design inlays on top drawers add even more style to this charming bedroom dresser.